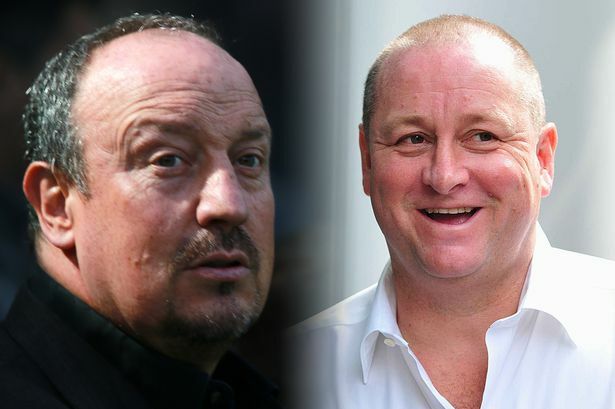 NUFC reporter reveals what Mike Ashley has just told Rafa Benitez ahead of contract talks – NUFC blog – Newcastle United blog – NUFC Fixtures, News and Forum. According to the Chronicle, Mike Ashley has told Rafa Benitez that he will be allowed to make a ‘marquee signing’ if he signs a new contract with Newcastle this summer. Considering Rafa wants a vision to be put in place for long-term success, Mike Ashley would be a bigger fool than we could’ve even imagined if he honestly thinks Benitez will sign after being promised just one big money buy. ‘Rafa Benitez has been told he will be permitted to buy a marquee signing this summer – if he agrees to sign a contract extension with Newcastle United. ‘Behind the scenes, there have been suggestions that another big money transfer like Miguel Almiron will be possible for the Toon boss if he decides to stay at St James’ Park . ‘Almiron’s transfer has proved to be a success but getting the deal done proved to be a complicated affair as Newcastle haggled with Atlanta United and the player’s agent for over two months. An overhaul of the development system, training ground upgrades and improvements in the stadium are clearly what’s needed on top of ambition in the transfer market – and that doesn’t even cover Rafa’s inevitable desire to have the final say on transfers (e.g, if he has £15m to spend on a striker and wants a 30-year-old Rondon, he gets him). Also, what does class as a ‘marquee signing’ to Ashley and co.? Almiron seemed like a huge deal to us, but the reality of the situation in this day and age is that Everton and West Ham were spending £40m on the likes of Richarlison and Felipe Anderson last summer. Don’t get me wrong, it would be a step in the right direction, but this would be just one of many things Rafa will surely want assurances over if he’s to commit to the club. Once bitten twice as shy. If I was Rafa I would be looking around for a better boss. Premier League City, Fans, Manager and Stadium…Championship Club..
He’s already signed for another 3 years, you watch…. He’s never asked for a marquee signing though has he? He’s asked for money to spend to compete with the club around us, improvements to the training facilities and development of youth players. I don’t think Ashley is dangling any kind of carrot by suggesting he can spend ‘marquee’ money one just one player. A proven liar in a court of law is what Rafa is dealing with ! That’s exactly what Jabba The Gut would do is give him one signing then nothing else all summer long.